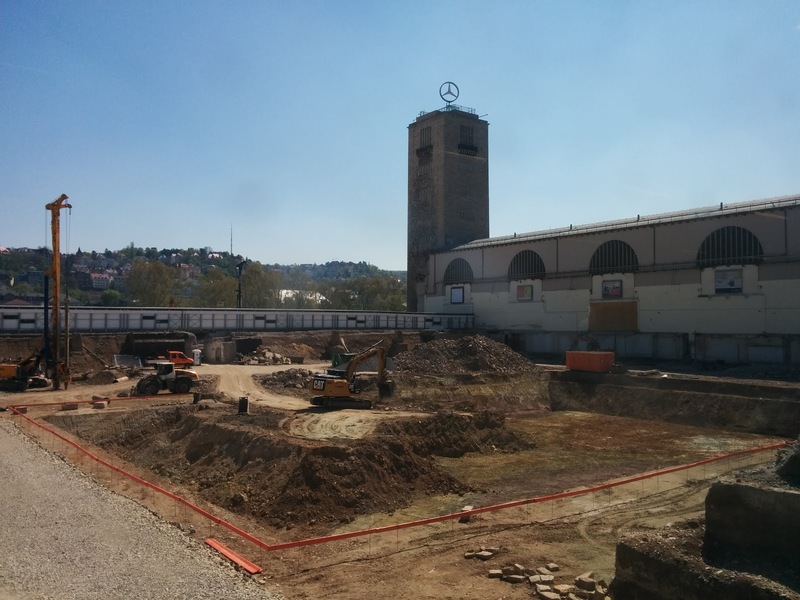 Major construction at Stuttgart Hbf for the new underground station (also known as "Stuttgart 21") is making progress. Where this 70m wide hole is now, there used to be the head-end of the 16 tracks and platforms of the main station. Looking at the hole from the other side, the iconic station tower with the Mercedes sign and the main station hall are on the right. As I was leaving for Zurich in IC 187, ICE 518 to Dortmund was leaving at the same time, which made for an at least somewhat interesting video. The swiss Intercity cars are reflected in the ICE windows. 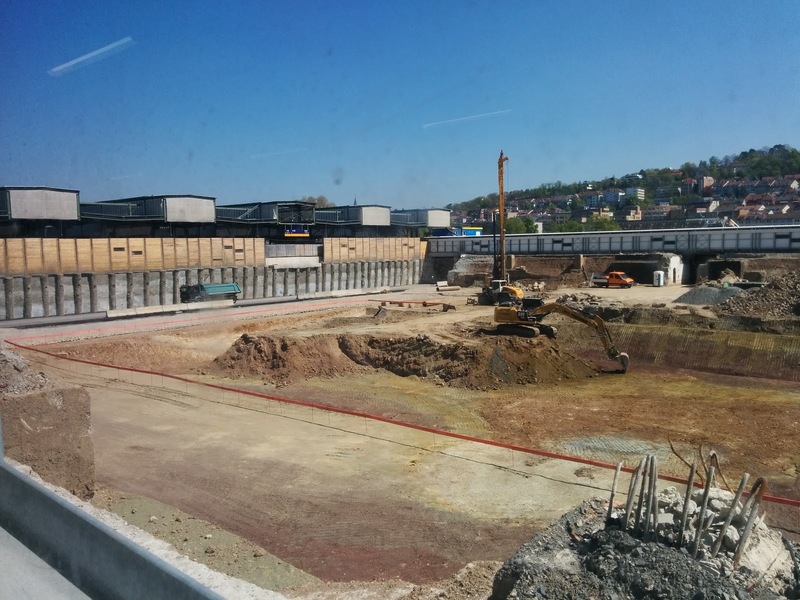 This video shows a view of the supporting track arrangements of Stuttgart Hbf that will soon be history and ends as we enter the Kriegsbergtunnel just west of Nordbahnhof.